IBM MobileFirst for iOS Fast Fix improves issue resolution time of home appliances and provides cost estimates and payment options. 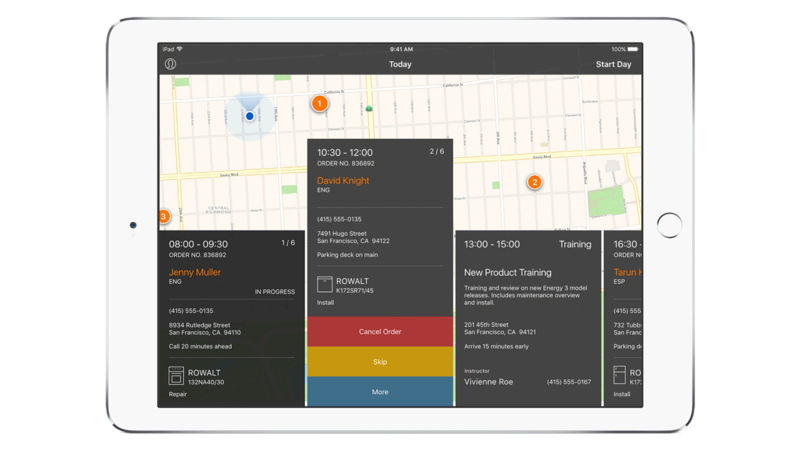 IBM MobileFirst for iOS Fast Fix gives field service technicians guided diagnostics to fix issues using an intuitive dashboard view on iPad. Fast Fix allows technicians to solve and complete issues with home appliances quickly – while improving consumer satisfaction and increasing revenue. Fast Fix speeds up the issue resolution time of home appliances. The app provides cost estimates and payment options to consumers. It also proactively supports cross- and up-sell of accessories, consumables and extended warranties to customers. Provide cost estimates prior to work being performed and accept a number of direct pay options on site. Proactively address near-term problems through predictive analytics that help avoid additional service calls. Use FaceTime as a second line of support for additional advice and the built-in camera on iPad to document issues and work performed.